I absolutely love letterpress printing and I love pretty stationary so obviously when I discovered Sugar Paper I was immediately obsessed. Here are some of my favorite things that I am just dying to order from their website. It was really hard to put this together because everything on their website is just so pretty! Hope you guys enjoy it! Which one is your favorite? I love those coasters!!! They would make a great housewarming gift! I love all of these. I am really into gold right now and these are just perfect. If I had to pick, I'd go with the anchor with gold accents stationary. Oh my goodness, so cute! I'm a new follower! 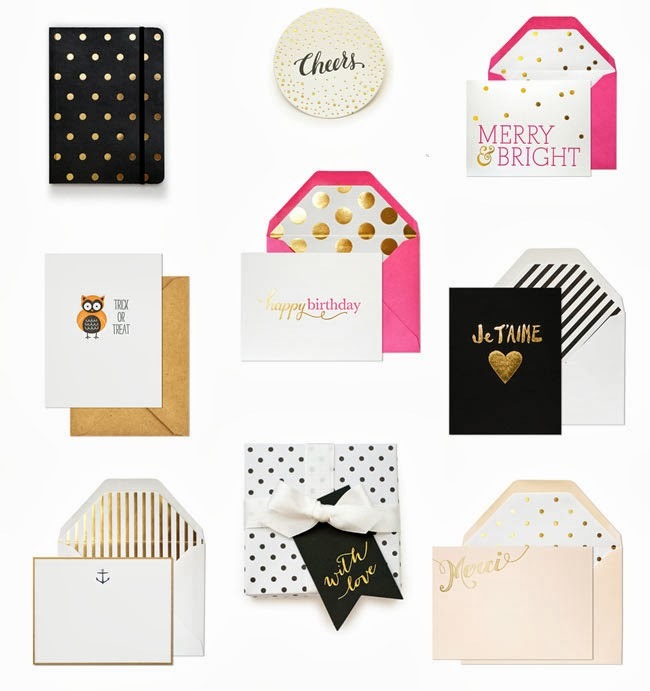 All of these are so incredibly cute, I absolutely love the black and gold polka dot journal :) So cute ! All of the cards, journal, and wrapping paper are so cute! I love the use of gold and polka dots! Such adorable cards, love the anchor one! How cute!! Loving all of these espeically those coasters and anchor noteset!!! Sugar Paper always has the sweetest cards, I love the Merci ones! amazing !!! good work. keep it up. find Shredder reviews from here. Thanks alot for this beautiful information. keep it up.